The signature style of Barclay Butera is beautifully expressed in this handsome Oxford rug. 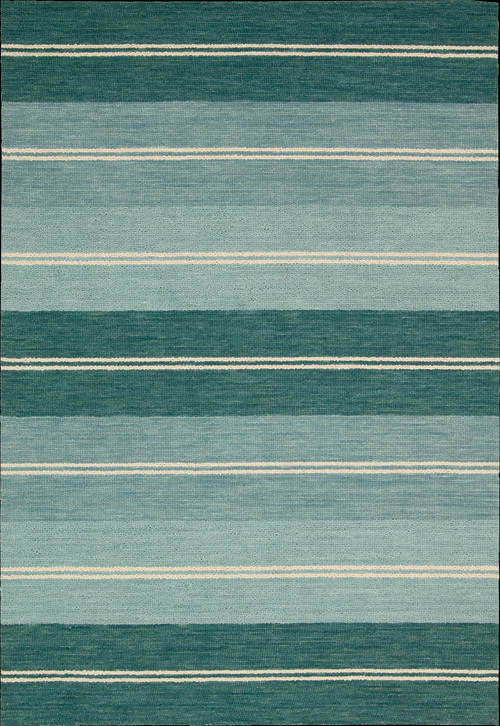 Strong stripes are softened by a medley of color in ocean-washed greens, from emerald to aqua. Thin stripes in creamy white define the design with a sophisticated touch. At home anywhere, from beach house to penthouse.